some cupcakes with supplies you probably already have in your home. I’m also going to give you some links to my favourite baking resources. First, you’re going to want to bake some cupcakes! If you have a stand mixer, use it! 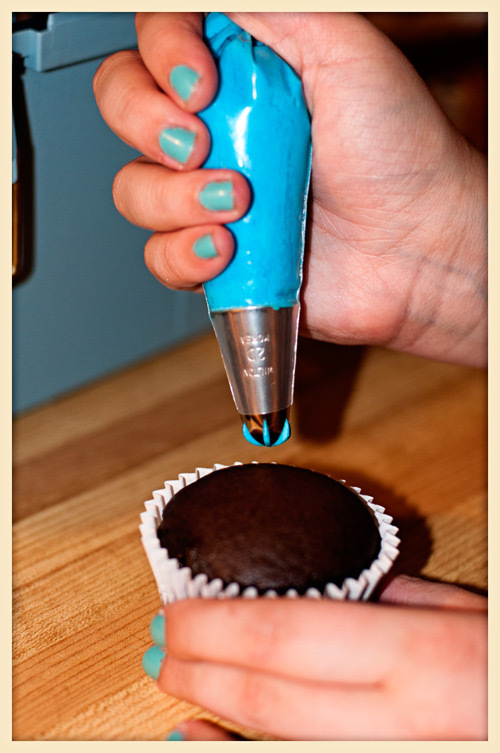 I used to make icing using my hand mixer, but not only is it very hard on your arm, it’s also very hard on your mixer! A stand mixer takes all of the hard work out of making icing. Make sure all of your ingredients are at room temperature. Your shortening and butter should be softened in the microwave if they’re too hard. If your icing seems too stiff, add in your water 1tsp at a time. I know this may seem like a small amount, but it really will make a difference. 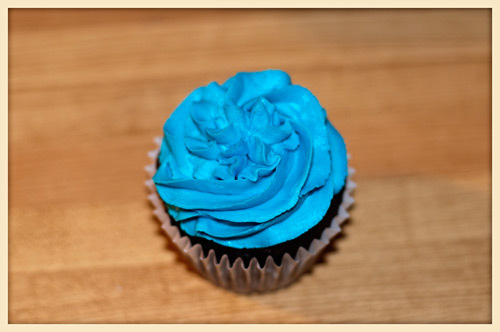 To colour your icing, if possible try and use gel food colouring. 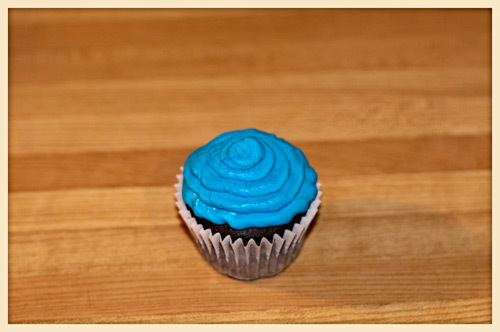 It’s harder to find, but it won’t change the consistency of your icing unlike regular liquid colourings. 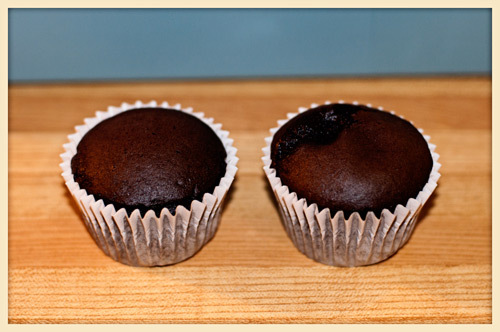 By now your cupcakes should be ready and cooled so it’s time to start putting the icing on your cupcakes! 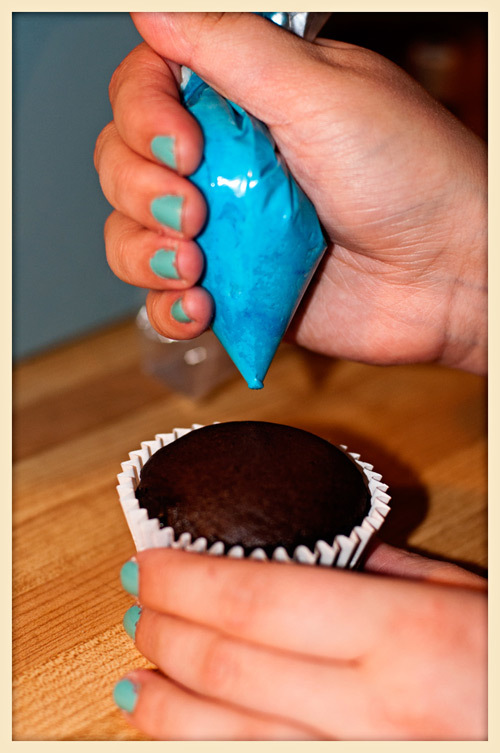 You can always spread the icing on using a spatula. Just because Cake Boss doesn’t do it this way, doesn’t mean it doesn’t look good! I’m not going to show you this method, but I’m sure we’ve all done it this way before. The first method I’m going to show you is using a regular ol’ Ziploc bag! First you’re going to cut the corner off of a Ziploc bag. Don’t cut it too big! Once you put your icing in there, you can always cut it bigger if needed. Then twist the bag so your icing is tight to the hole in the bag. 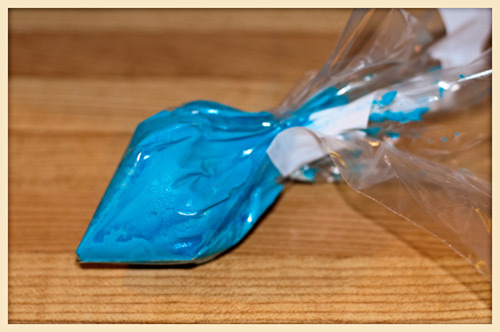 Now that the icing is in the bag, you can start to pipe! This will vary depending on how big you cut the hole in your Ziploc bag. recommend starting with this 12 Piece Cupcake Decorating Set from Wilton. Add some fun sprinkles! Sprinkles come is so many different shapes, colours and sizes. Don’t be afraid to experiment! 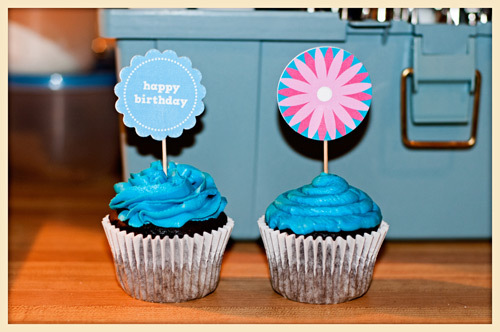 Make your own cupcake toppers! I bet making your own cupcake toppers sounded like the most fun, right? Well I hope so, because I’m going to tell you how! You’ll need 2 of each design you choose to use (one for the front, and one for the back! Your cupcake should look great from all angles!). Cut them out using your favourite craft punch or scissors. I used a scalloped edge punch and a regular round punch for the toppers above. Now you’re going to tape/glue a toothpick to one side of your topper. If your topper has lettering make sure your toothpick is coming out of the right end! I personally use Glue Dots because I find liquid glue too messy! Once the toothpick is attached firmly to one side, you can attach the other side. Make sure all of your edges line up! Now take that topper and stick it right into the middle of your cupcake! Thanks for letting me share my love of cake decorating with you! If you have any questions, feel free to leave them in the comments! Cristina, these are so much fun! Thank you so much for making treats. And, and, be sure to stop by later, because I have some cupcake toppers to download too...so much fun, and we're only about half way through the day! Eek! Thanks, Christina, for pointing that out. I have gotten it all fixed now.